For an ideal meeting & event space in Lake Geneva, Comfort Suites offers The Newport Room and VIP Room, both designed for executive board meetings and social functions. 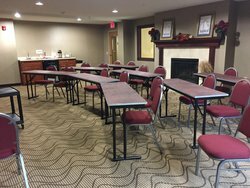 The Newport Room can seat up to 12 for a conference and is a popular meeting room for depositions, sales meetings, company training sessions, and much more. Our VIP Room features a fireplace and holds up to 30 guests for a variety of room set up styles. Both multifunctional rooms are designed to host training sessions, baby showers, birthday parties, church groups, and rehearsal dinners. An open concept space available is our breakfast area, which can hold up to 50 guests theater style, 30 classroom style, and 40 for banquet and receptions. Catering can also be arranged for all meetings and events. 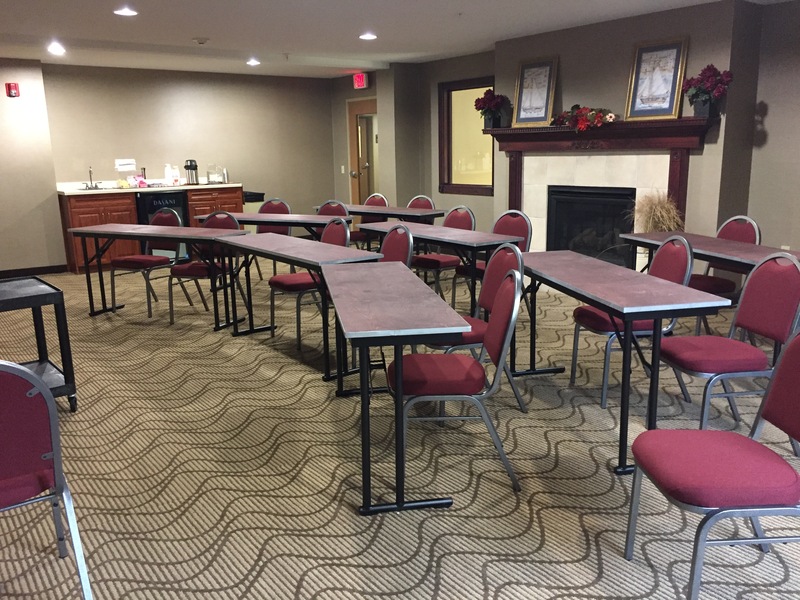 Our friendly and helpful staff here at Comfort Suites Lake Geneva East are always ready to assist in making your next meeting or event an absolute success. 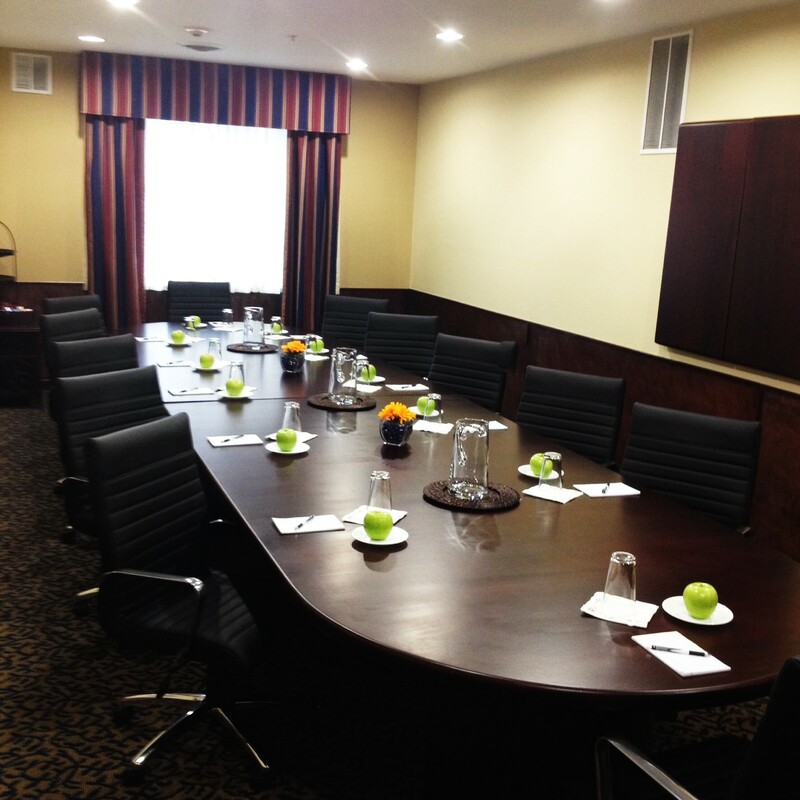 Also, meeting planners and companies who book accommodations at Comfort Suites enjoy a meeting room for free! Exclusive of taxes and any other additional fees, incidental charges, gratuities and related charges. Other terms and conditions apply. Meet and connect in one of our meeting spaces. Well equipped with top professional amenities including, projector screens, smart TV's, dry erase boards, light snacks, and beverages, and more, guests will have everything they need for a successful business meeting. Guests looking to plan a bigger meeting or conference will find our VIP Room to be the perfect option. Designed both for executive board meetings and social functions, book our VIP Room today!